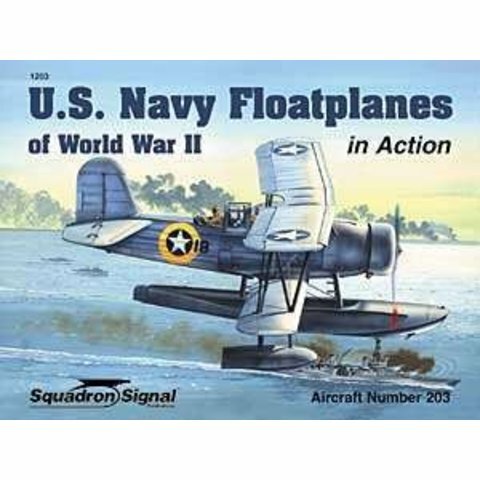 U.S. Navy Floatplanes of World War II. Book by Al Adcock. Squadron Signal Books. Before the advent of radar and other electronic devices aboard warships, the jobs of seeking out the enemy and spotting naval gunfire fell to the floatplane scouts. These small 1- and 2-seat catapult-launched aircraft served aboard US Navy ships as the eyes of the fleet until mid-1949. Most battleships carried up to 4 floatplanes; cruisers with aircraft hangars could accommodate as many as 8 aircraft; destroyers, when applicable, were limited to only 1 floatplane. Curtiss-Wright was the designer of 3 of the 4 types of scout planes that served aboard US warships in WWII, a tribute to the American aviation pioneer and father of the US floatplane, Glenn Curtiss. 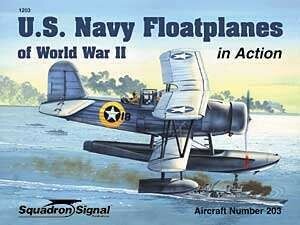 Chance-Vought and the Naval Aircraft Factory also produced floatplanes that served the US Navy in WWII. All get detailed coverage in this volume. Illustrated with more than 106 photographs, 13 full-color paintings, plus detailed line drawings, 56 pages.